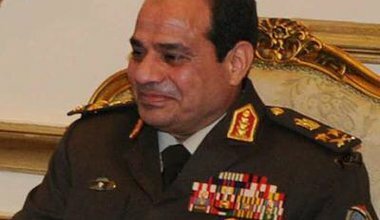 Egypt's army, with support, used 30 June as the cover for a military coup and for the transformation of the anger against the Brotherhood into a bloody mandate not only to eliminate the Brotherhood, but to wipe out the 25 January Revolution. We must study the balance of power between us and our enemies in a cold-blooded, scientific fashion, if our goal is victory. 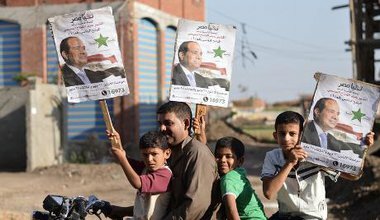 Elections have exposed the fragility of Sisi’s rule and sent up warning signs of the dangerous path that will be pursued. Votes are being counted, and declaring Sisi the winner is just a formality. However, a tainted legitimacy will haunt him. 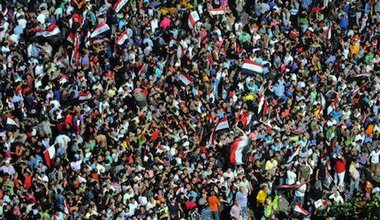 Taking sides in Egypt’s troubled revolution: but which? War rages on in Egypt: but it is not secular vs religious, it is not a class or gender war…or even a war between different generations. The people want – but do they have a chance? Nasserism, by far, is the main form of progressive political consciousness that one can find in Egypt, when it takes the form of nostalgia, not for military rule, but for social benefits, jobs, agrarian reform, democratisation of education, and the national dignity of Egypt as incarnated and embodied by Nasser. Interview: 14 February 2014. By replacing the cement block with gates, the regime is not only curtailing the infrastructure of protest and dissent, but it is also destroying many of the meanings that Tahrir stood for: freedom, justice, and citizens’ reclamation of public space. 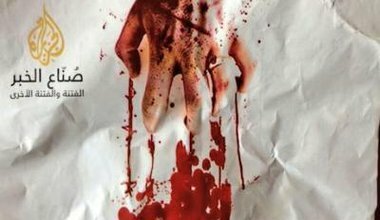 Egypt's blogosphere and twitter world was buzzing with reminders of how the army and the ministry of interior violated human rights on various occasions. On the other hand, the mainstream media was buzzing with songs cheering the army and the Minister of Defense. Someday, someway, somehow, somebody will do something stupid similar to Mubarak and his "crown" inheritance project - (maybe El Sisi running for president?) - and this could result in a return of the initial uproar. Egyptians must brace themselves for more violence: the proponents of severely curtailed liberties in the name of national security and the advocates of illegal retribution are back with a vengeance. 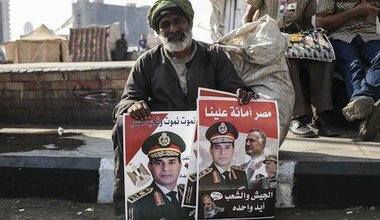 Egypt is divided between the army’s supporters, including many a figure of the Mubarak regime, liberals and leftists, and the deposed President’s supporters. But a new movement rejects both these ways forward. Franco Galdini interviews founder member, Wael Gamal. The two competing narratives are so at loggerheads that the country risks being driven down the dangerous road of constant low-intensity conflict. Who wants democracy in Egypt? Many! 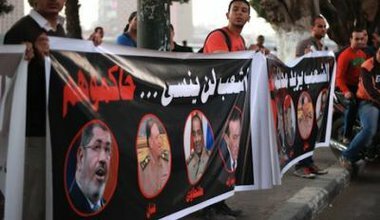 Barbara Zollner asks: Who wants democracy in Egypt?, as there are increasingly obvious signs that democracy is in retreat in the country. However, the answer is still simple: many. 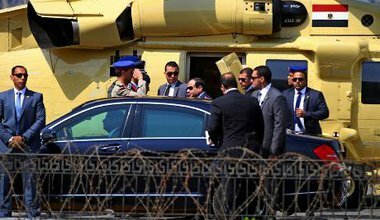 The question is more what type of democracy the Egyptians want – and here many things remain to be discussed. Who wants democracy in Egypt?  How can we make sense of the contradictory arguments? 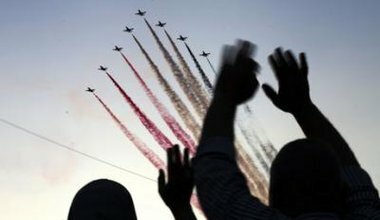 Who actually wants democracy in Egypt? Let’s review the positions of the three major actors in Egypt today. Violence in Egypt will only be reigned in when it is no longer useful for the security services’ twin purposes of discrediting the Muslim Brotherhood and discouraging popular mobilization aimed at making government responsive to the needs of its citizens. 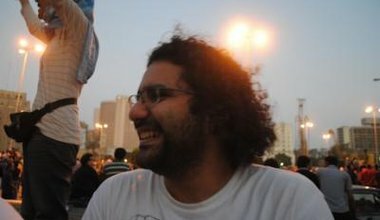 What are the particular circumstances in modern Egyptian history that have imparted such weight to sectarian appeals and permitted the emergence of two solitudes? We could choose between opposing this new authority, boycotting it, or participating in an attempt to contain the damage to come. In other words, we had to choose the option that implied the least damage, and we did. Tahrir has witnessed five milestones that have eventually resulted in a mixed reality which paves the way for the sidestepping of the January revolution. 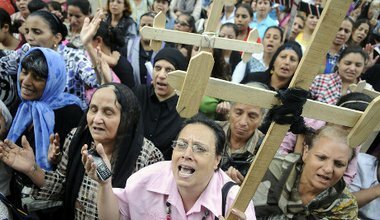 The military's deposition of Egypt's elected president has been welcomed by the Muslim Brotherhood's liberal opponents. This is a historic error that carries big costs and risks, says Khaled Hroub.